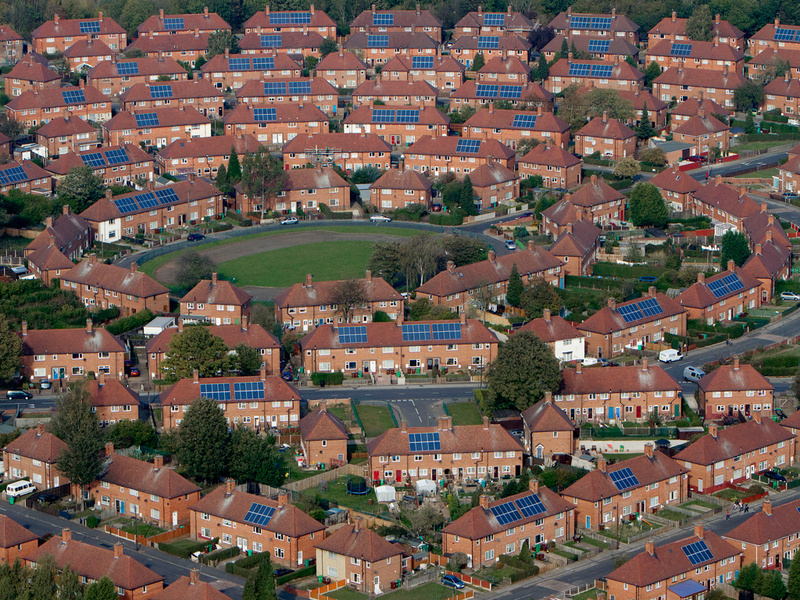 Nottingham, UK: A panoramic picture shows the changing face of an estate after 600 homes had solar panels fitted. Image source. According to Renewable Energy Focus, demand for solar power systems in European countries increased by around 15% year-on-year, compared to 6.95 GW of new grid-connected solar power capacity in 2014. “It is good to see the European solar power sector again on the growth path in 2015,” says James Watson, CEO of SolarPower Europe. 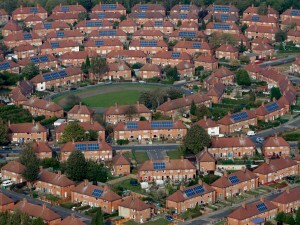 Peaking in 2011, demand for solar power installations in Europe declined for 3 consecutive years. The company’s findings show that annual global grid-connected solar rose by over 25% to more than 50 GW in 2015, from 40.1 GW in 2014. Final numbers for 2015 will be presented in a new report in March. Estimates for 2016, including market forecasts until 2020, will be published in SolarPower Europe’s ‘Global Market Outlook For Solar Power 2016 – 2020,’ which will be launched at Intersolar Europe in June.